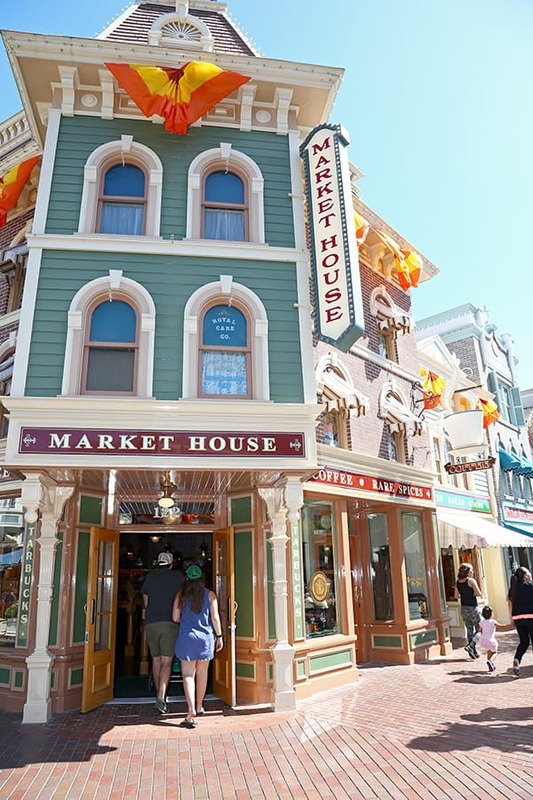 Great news, Starbucks fans – Market House is now open on Main Street, U.S.A., in Disneyland park, serving Starbucks drinks along with house-made Disney treats. Market House joins other Disney Parks locations serving Starbucks products – Fiddler, Fifer & Practical Cafe at Disney California Adventure park, Fountain View at Epcot and Main Street Bakery at Magic Kingdom Park. 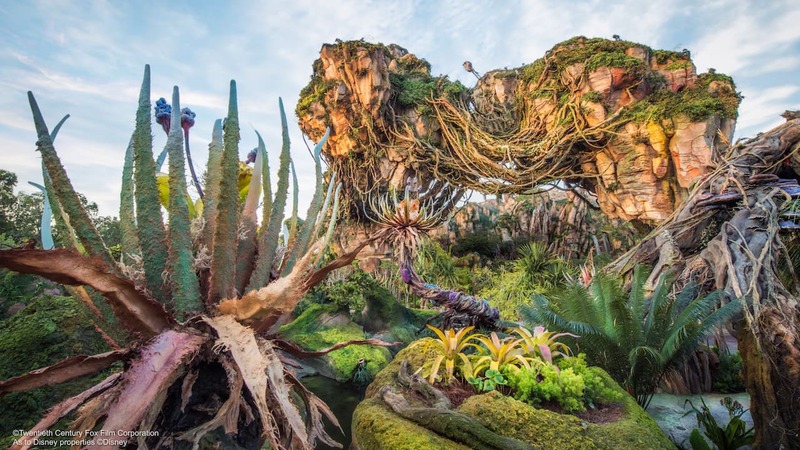 And new locations are coming to the Downtown Disney District here at the Disneyland Resort, as well as Disney’s Hollywood Studios and Disney’s Animal Kingdom at the Walt Disney World Resort. I, too, would like to know if we can use our Starbucks cards in the Market House. We will be arriving in a week and a half, and I would like to be prepared either way. Thank you! Do you know when there are opening the one in downtown? Does the new Starbucks accept Starbucks Gift Cards. In Las Vegas a couple of the hotels that had a Starbucks did not accept them. 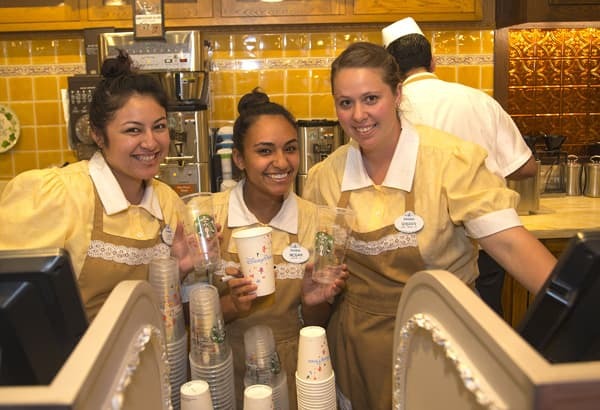 Not a Starbucks fan, but at least the Cast Members are dressed accordingly. 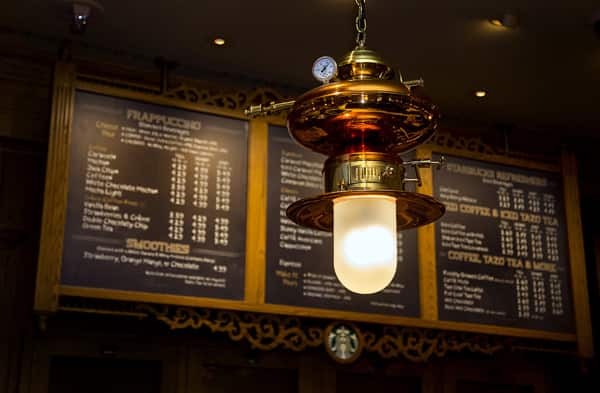 I’m sure it will be a big hit for those who like Starbucks. Went there yesterday. It was both awesome and smelled great inside. For someone like me, I’m lactose intolerant, it is great to have a soy coffee option for every drink I would want. It looks great in there as an added bonus. Mmmm!! Starbuck’s and Disney…wow, great combination. I too will miss the old Market House, but from what I see, they kept to similar theming and even kept some of the fixtures. I look forward to seeing it in December! 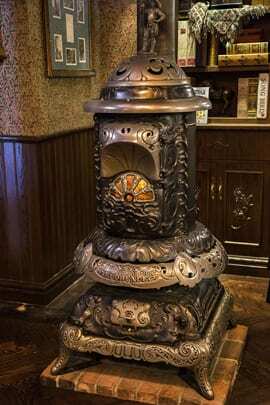 I will always miss the old Market House, but you won me over a little bit by keeping the stove and phones. You knew you’d better have pictures of those the calm us nervous fans! Can’t wait to go on Friday before Mickey’s Halloween Party! Love that some of the classic pieces stayed behind. Oooh, ooh, OOOH! I’m gonna get my Starbucks on in there when I am on Main Street in just TWO MORE MONTHS! Can you tell I am excited or what? Anyone who knows me will attest there is two things I love: Disney and Starbucks. Now that the two are together it’s like the day someone dunked peanut butter into chocolate. 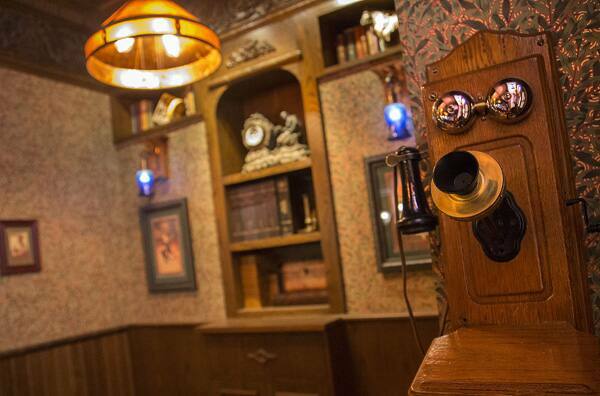 They kept the ‘party line’ phones?! Yay! I can’t wait to stroll down Main Street USA with my Starbucks beverage of choice!